Keeping you apprised of the happenings near, far, and around El Segundo. El Segundo may have that “Mayberry RFD” feel going on in its quaint downtown and living areas but east of Pacific Coast Highway, where large swaths of land have been and are being developed, brings another sort of vibrancy to the city — a renaissance of sorts for the community. Our population of 17,000 rises to some 55,000 during the day when workers do their jobs. The eGundo.com NFA Column (NFA = Near, Far, and Around) brings together a broad range of news involving the city so citizens and readers can stay in the loop on the latest happenings of interest when we can’t get a full story out. 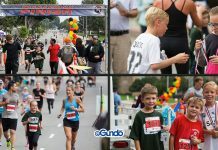 We appreciate you choosing eGundo.com for your source of El Segundo news – we’ll do the best we can as we continue to grow to keep you apprised of the happenings near, far, and around El Segundo. For now, here are a few updates to share. There’s plenty of excitement in El Segundo, as the El Segundo High School Boys Soccer team kicked itself to a 2-1 overtime win Saturday (Feb. 23) against West Torrance, taking home the CIF Southern Section Division 3 championship. Congratulations to the team on an outstanding season! In restaurant news, Chin Chin is coming to El Segundo, moving into the space previously occupied by PF Chang’s at 2041 Rosecrans Avenue. The Chin Chin chain, which originated in Los Angeles in 1983 and is owned and operated by First To Market (FTM) Hospitality, serves Dim Sum and other classic and modern Chinese American favorites, all made to order without MSG. Chin Chin will serve distilled spirits, beer, and wine as approved by the El Segundo City Council at its regularly scheduled February 5th meeting. Chin Chin has locations in West Hollywood, Beverly Hills, Studio City, Brentwood and on the Las Vegas Strip. In an interesting note, Chin Chin will occupy only some of the PF Chang’s space, giving another FTM chain, BBCM Cafe part of the space. BBCM stands for The Butcher, The Baker, The Cappuccino Maker, and the cafe is known for its modern California fare with European influences. The cafe, which will be open for breakfast, brunch, lunch, and dinner, says its menu is features seasonal, local, farm-fresh ingredients. The cafe also is known for its fresh-baked goods, specialty coffee drinks, and a comprehensive wine list. 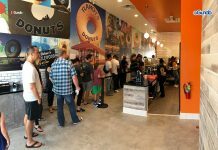 The El Segundo BBCM follows on the heels of the newly opened USC Village location. The first BBCM is on Sunset Boulevard in West Hollywood in Sunset Plaza. ES City Council also approved BCBM’s application to sell beer and wine at its February 5th meeting. And in more food news, El Segundo-based Beyond Meat, the vegetarian, plant-based “meat” company, now has a burger item on the menu at fast-food chain Carl’s Jr. restaurants. Beyond Meat signed the deal with CKE Restaurant Holdings Inc., Carl’s Jr.’s parent company, to sell a $6.29 Beyond Famous Star meatless hamburger using Beyond Meat’s plant-based patty. The company has launched a fun commercial to advertise the new product. The Beyond Meat plant-based patty can also be ordered as a substitute for any burger or chicken for an extra $2 at any of the 1,000 Carl’s Jr. locations participating in the Beyond Meat menu. Beyond Meat’s Beyond Burger is the first plant-based burger that “looks, cooks, and satisfies like beef,” according to the company. And in more Beyond Meat news, the company just signed NBA stars Kyrie Irving, Shaquille O’Neal, Chris Paul, Victor Oladipo, DeAndre Jordan, JaVale McGee, Harrison Barnes, and Luke Walton; NFL stars DeAndre Hopkins, Malcolm Jenkins, and Derrick Morgan (and his wife Charity); and ski racer Lindsey Vonn, rock climber Alex Honnold, and snowboarder Shaun White as part of the brand’s new “Go Beyond” campaign. The athletes are now investors and ambassadors for the brand, choosing to make an investment and promote Beyond Meat after experiencing first-hand the health and performance benefits of plant-based meat. SIDENOTE: Let the veggie burger wars begin (all in good, Gundo-style fun!) — Another plant-based veggie patty made by Impossible Foods can be found at two eateries in The Point: Mendocino Farms and Hopdoddy Burger Bar, 830 and 840 Pacific Coast Highway. And let the Chinese Chicken Salad wars begin by trying Chin Chin’s Chinese Chicken Salad alongside the Chinese Chicken Salad from Lisa’s Bistro & Bakery, now open on the eastside of El Segundo. In fact, you might as well head there sometime soon to get a taste of this famous and amazing salad! Previously on NFA: Nordstrom Rack, fashionable medical scrubs, Sherry Kramer of Continental Development awarded as a Distinguished Alum of El Camino College, El Segundo Ed Foundation raises funds at Guys Night Out, and Aquatics Center use groups put forth.